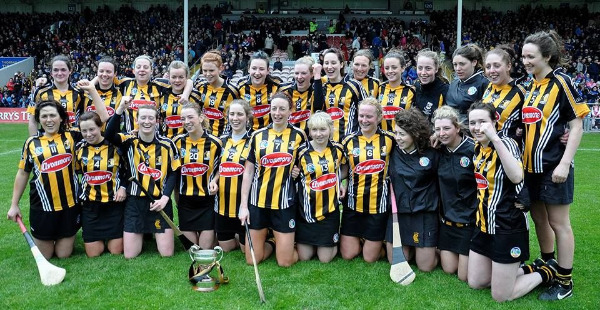 Kilkenny's camogie breakthrough came with their first Leinster title in 1972 and All Ireland title in 1974. 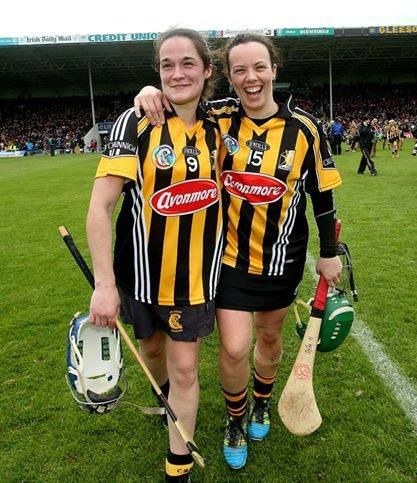 They have enjoyed two periods of ascendancy in the All-Ireland Senior Camogie Championship, winning 12 titles in all, three titles in four years 1974–77, another in 1981, seven in a row between 1984 and 1991 and another in 1994. They won a National Camogie League four-in-a-row 1987–90 and nine titles in all by 1993, adding a tenth in 2008. They dominated the under-18 minor grade in the four years after its introduction winning the championships of 2006–9. 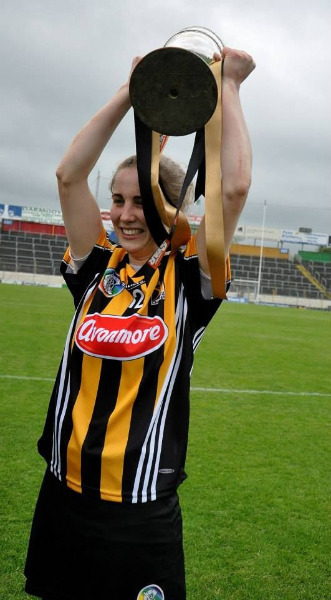 Five Kilkenny clubs have won the All Ireland senior club championship, St Paul’s (8), St Lachtain’s (3), and Lisdowney (1994). 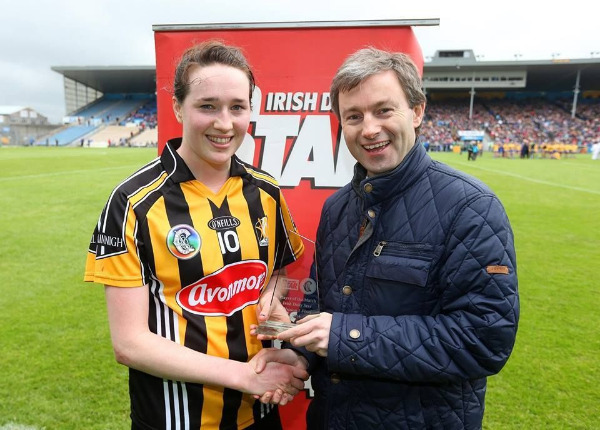 Notable players include a player acknowledged as probably the greatest in camogie history Angela Downey and her sisters Ann and Marina Downey, team of the century members Liz Neary and Bridie Martin, player of the year recipients Mary Connery, Ann Dalton, Claire Hanrahan, Breda Holmes, Helena O’Neill and Biddy O’Sullivan, All Star award winners Ann Dalton, Mairéad Power, Edwina Keane, Shelly Farrell, Elaine Aylward. Jacqui Frisby. Imelda Kennedy, Sinéad Millea, Aoife Neary and Katie Power, young players of the year Denise Gaule and Marie Dargan, and All Ireland final stars Teresa O’Neill, Ursula Grace and Ann Carroll. Under Camogie's National Development Plan 2010–2015, “Our Game, Our Passion,” five new camogie clubs are to be established in the county by 2015.